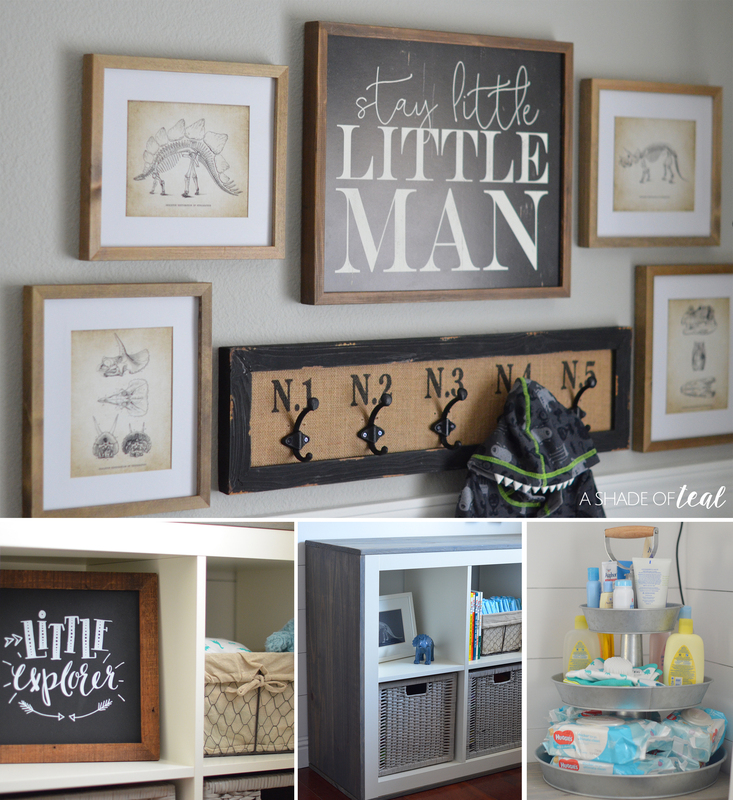 Rustic Industrial Baby Boy Nursery // ORC The Reveal! 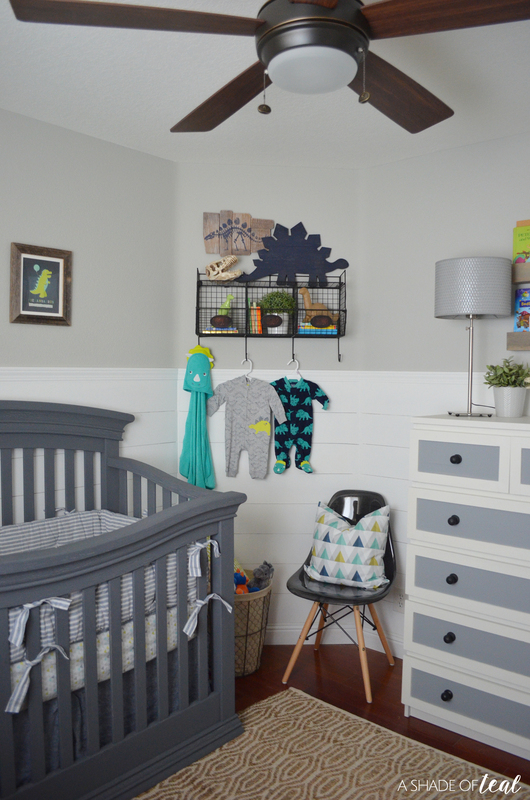 I really loved my Nursery before and like my other room it was pretty challenging to redo this space again. 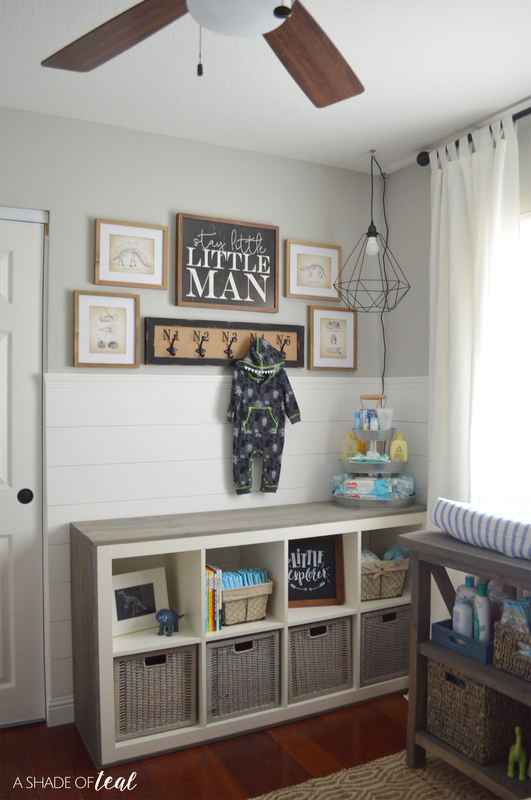 But, baby #3 meant we had to make space of our new addition, so it was a must. So time for ALL the reveal pics! You can also find all the sources below. 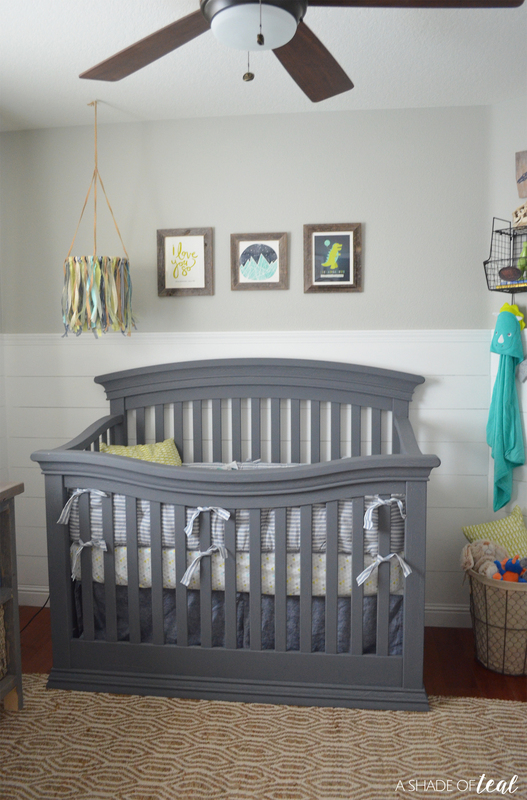 Grey Crib- Original from Babies R Us, but I repainted it grey, see more here. 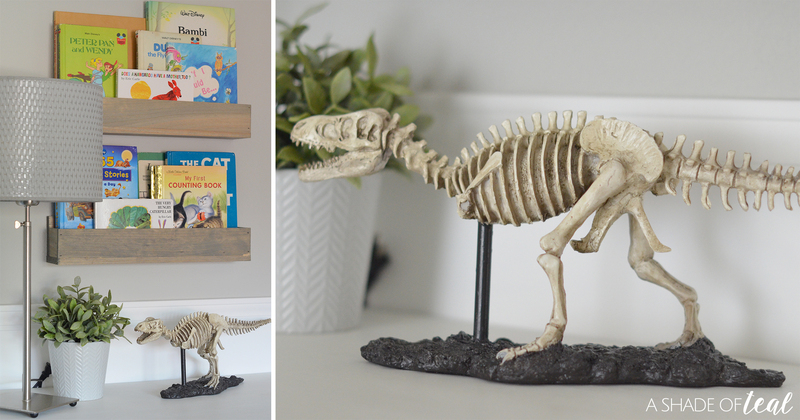 Book Ledges- Old DIY project. 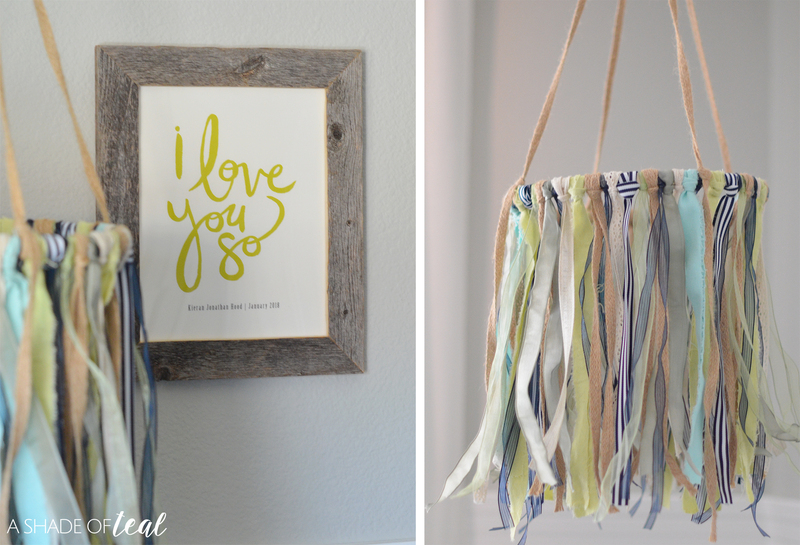 Rope Lamp- DIY project, see more here. 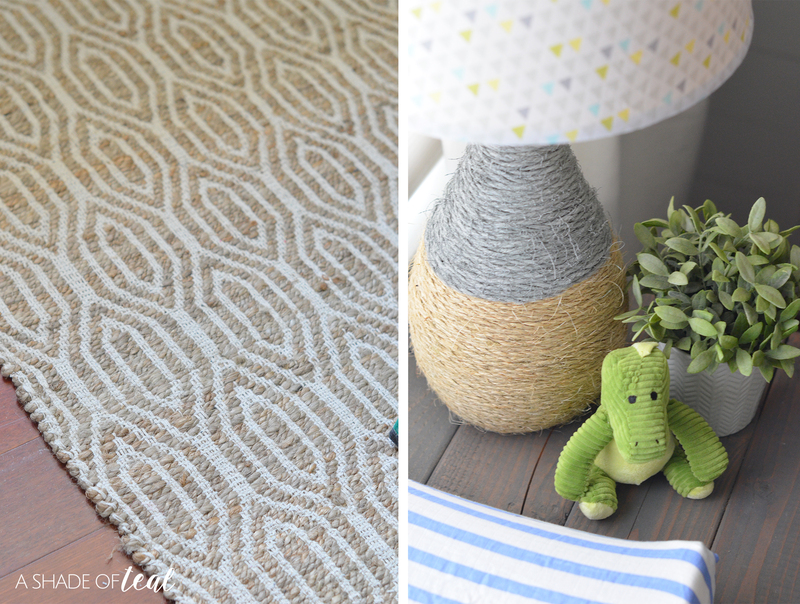 Geo Swag Light- Similar option here. 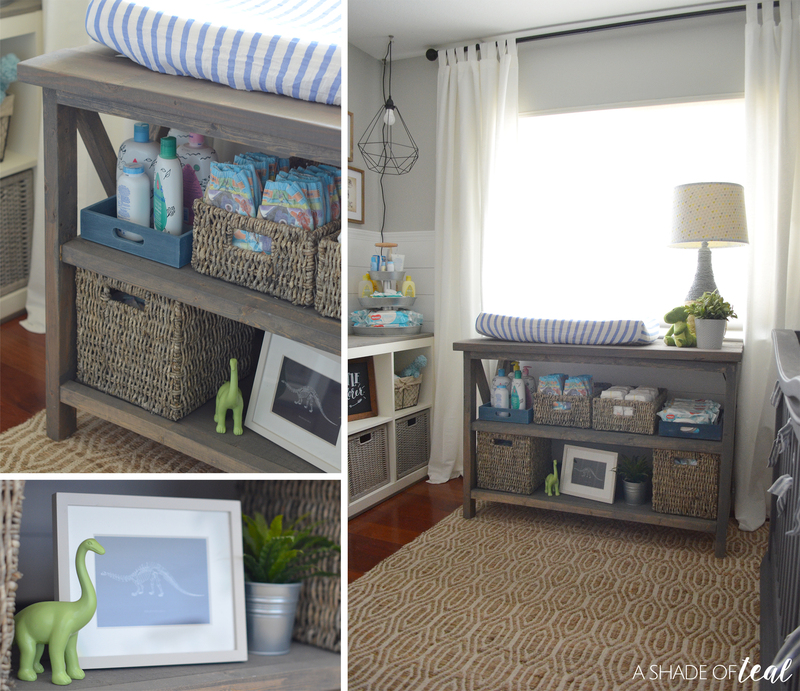 Cube Shelf- DIY project, see more here. 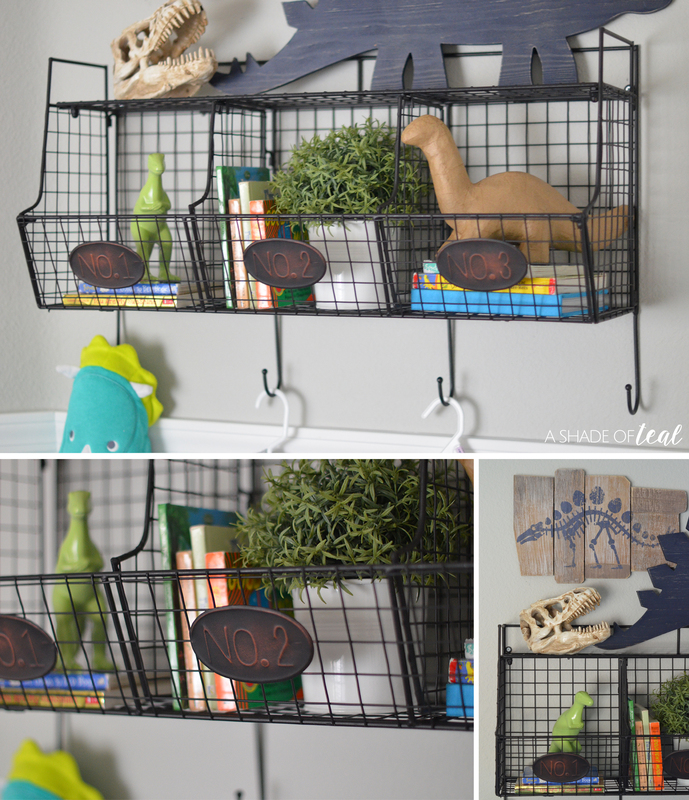 3 Tier Galvanized Stand- Sam’s Club, find similar here. 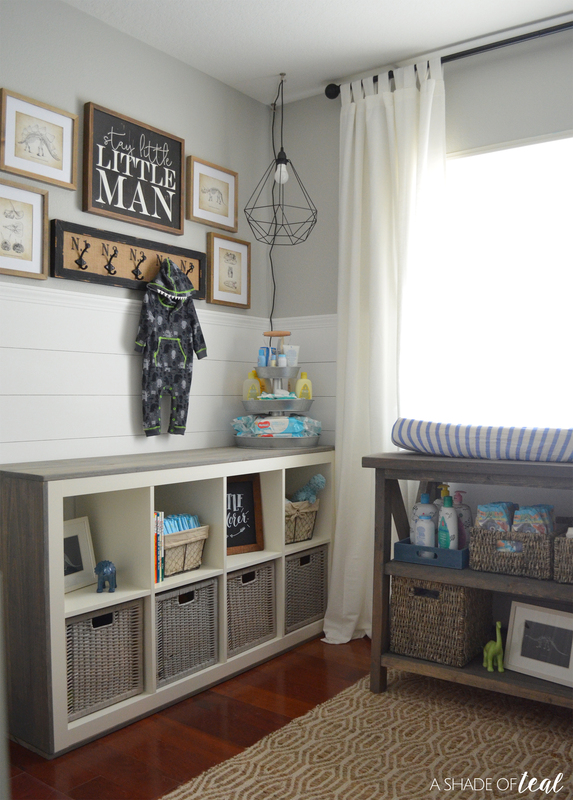 I’m so relieved to have this room complete. 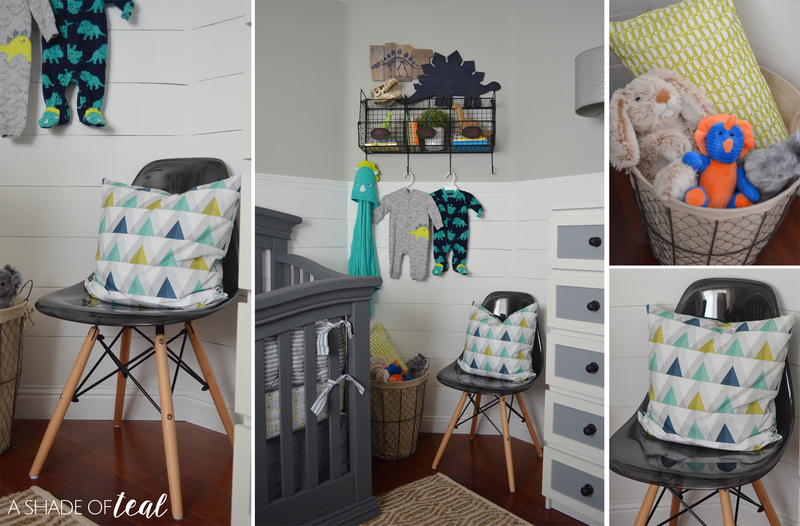 Now to just wait for our baby boy to arrive! 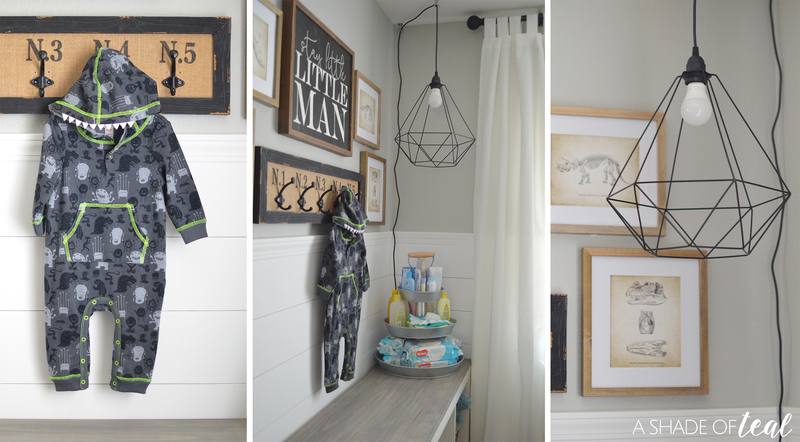 Don’t forget to stop by to see my completed Modern Rustic Glam Shared Girls Bedroom as well. Again, a huge thank you to all my sponsors, without them this makeover would not be possible! Modern Rustic Dining & Living Room // ORC Week-3: Progress! 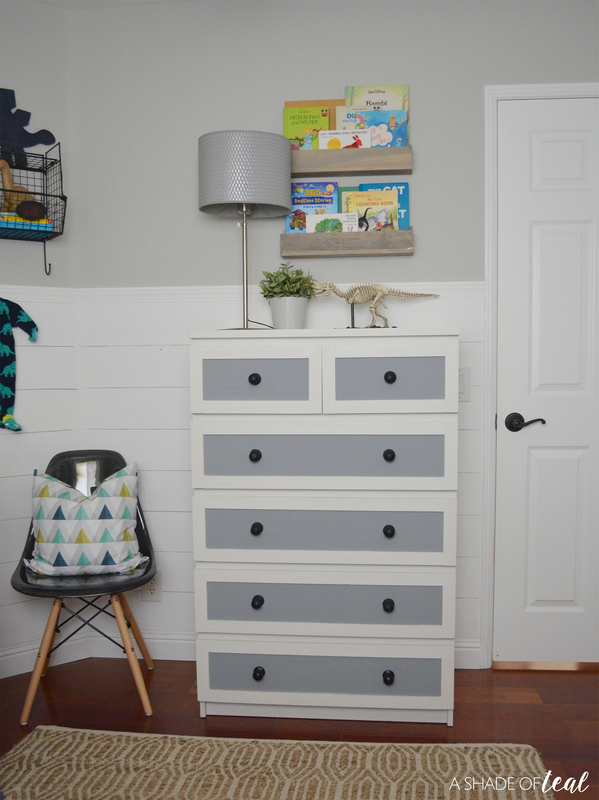 « Modern Rustic Glam Shared Girls Bedroom // ORC The Reveal! 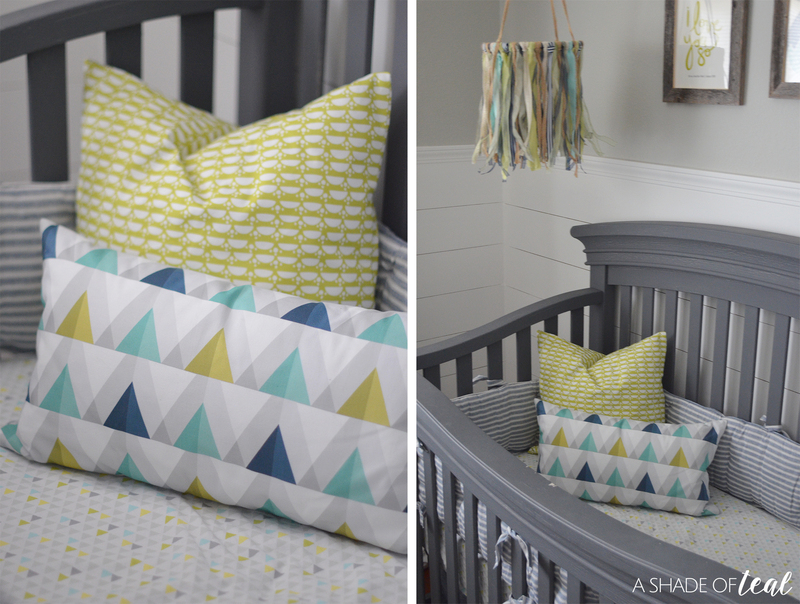 Love the color scheme of this happy nursery! Wonderful job! 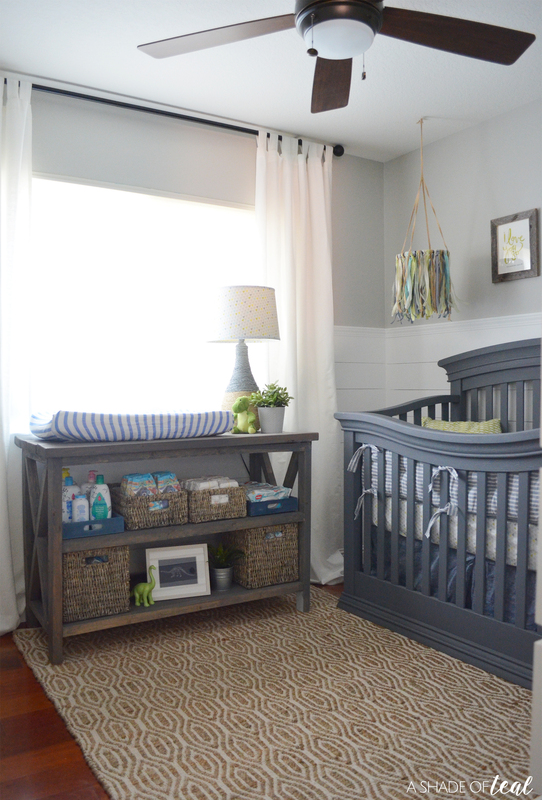 This is such a sweet room! I love the mobile! 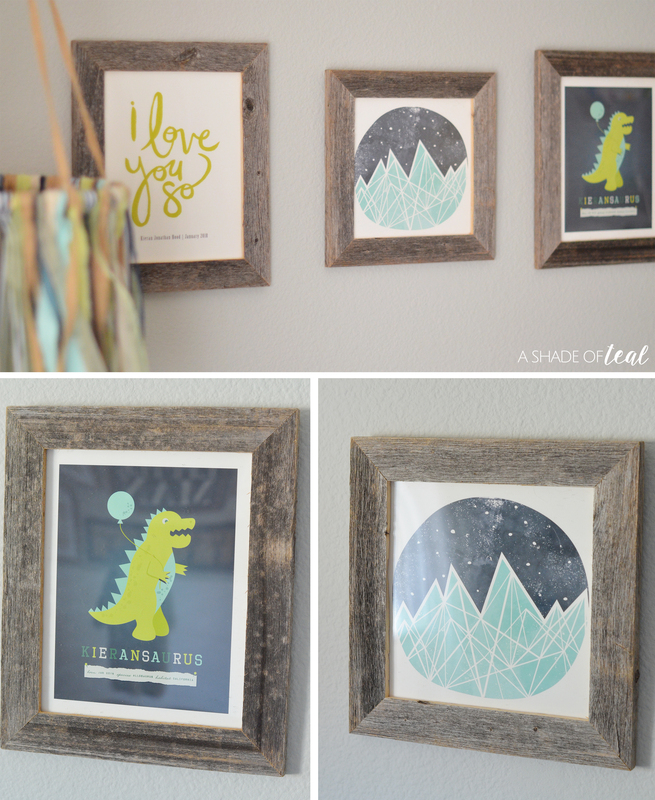 And the dinosaur print is too cute! Great job! 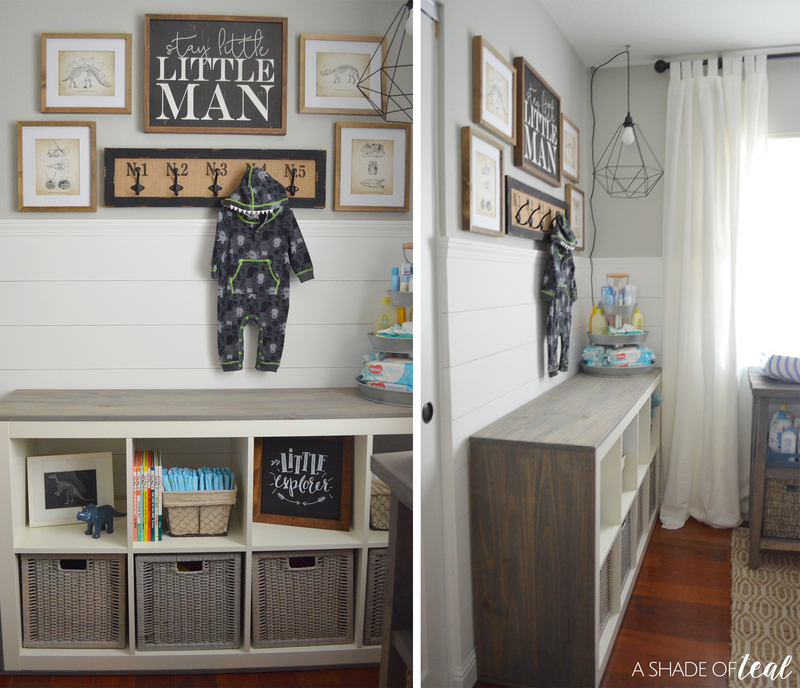 Can’t believe you did this room too! Amazing! This is darling. Love that mobile! Congrats on the ORC. I can’t even! 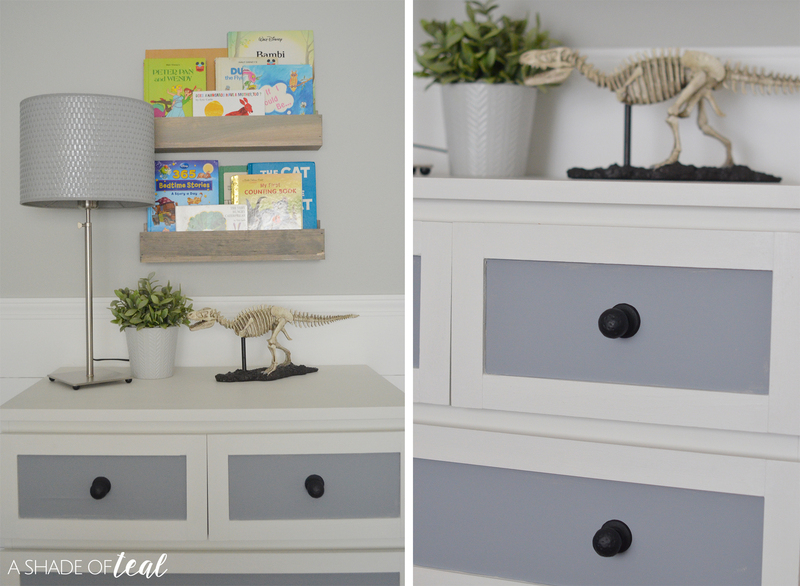 Having 2 boys, one of which had a dinosaur nursery, makes this reveal so special to me! 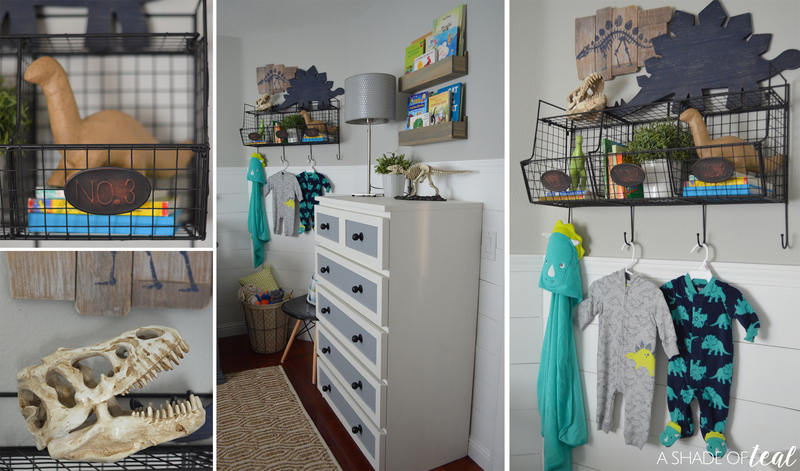 What an adorable room!! 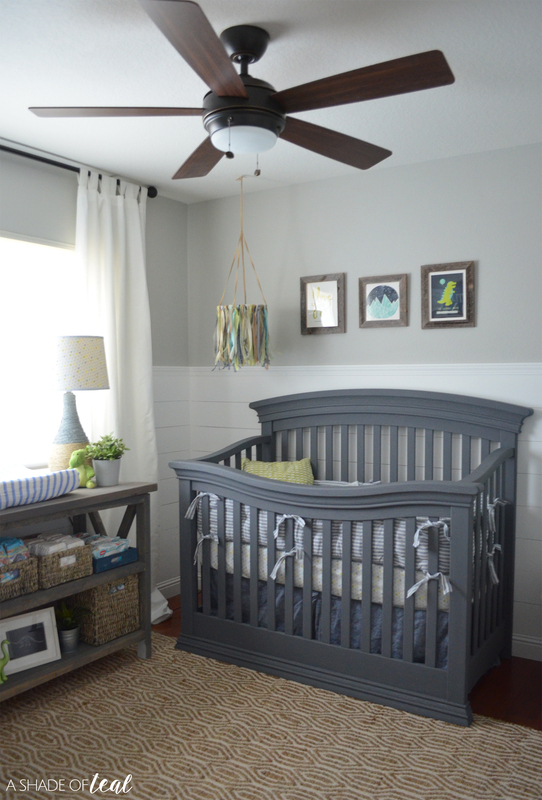 Congrats on your little one as well as this gorgeous room!